This post is going to be very special to me, the first time I am going to show my feet on the blog! This nail art is done way before my surgery and it feels like an age ago. 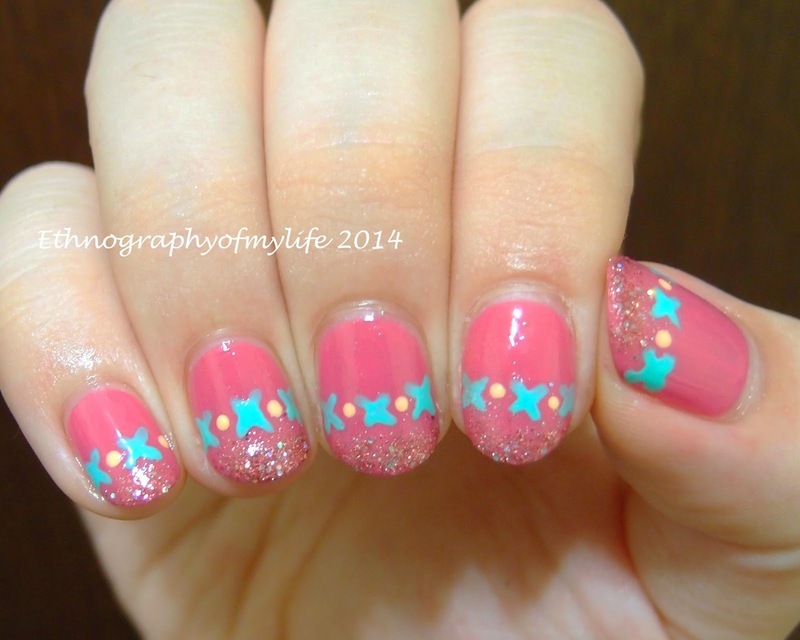 It's a simply mani with simple design, basically some glitter tips plus XOXO line. Nice and easy nails! I really like this glitter with the base combo, have gives a bit spicy look.